NZ Funds has conducted some research on what people like and what motivates their decisions when making KiwiSaver decisions. It makes for interesting reading. There has been a lot of conjecture in the media about what KiwiSaver investors should focus on, but less research into what they like and what motivates their decision. Recent media, and to a lesser extent regulatory focus, has been on fees, but fees came last in a list of attributes ranked through NZ Funds’ inaugural KiwiSaver survey. 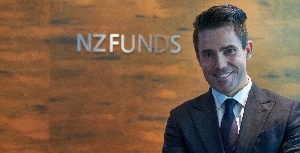 Members of the NZ Funds KiwiSaver scheme, as well as the employees of over 200 firms from NZ Funds Wealth at Work programme, were asked five questions in total. The questions were limited in number to encourage as large a response as possible, but through the survey’s thoughtful design, information was gathered on 19 topics. Respondents were asked to rank what appealed to them most when selecting a KiwiSaver scheme. Interestingly, responsible investing ranked highest, ahead of: returns; New Zealand ownership; lower risk and fees, with 35% of the vote. Returns from most schemes have been strong, reflecting a period of global synchronized growth, so investors have been able to focus on how their returns are being earned. It will be interesting to see if investors continue to value a responsible investment approach during a financial market downturn. Less surprisingly, returns were ranked the next most important factor with 29% of the vote. This is consistent with investors wishing to see their savings compounding at a faster rate than term deposits, and a corresponding shift away from default schemes toward more growth orientated schemes. What is surprising is that despite the acknowledged importance of returns, 16.4% of KiwiSaver members are still invested with default schemes. As financial literacy improves, this group should decline. Another surprise of the survey was how highly respondents ranked New Zealand ownership. 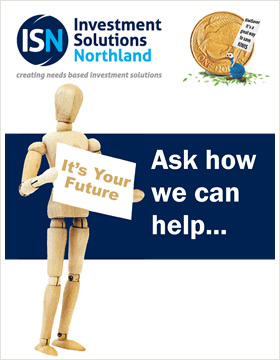 The success of the New Zealand Superannuation Fund, managed by its New Zealand investment team, the Guardians of New Zealand Superannuation, has demonstrated that New Zealanders can manage money very well indeed. It might also be the case that what works for Australian or Japanese owned organisations might not be what New Zealanders are looking for, and as a nation we’re cottoning on to that. Seven percent of respondents rated lower risk as the most important attribute, while only 3% ranked fees as the most appealing factor in a scheme. It is surprising to see risk receive such a small allocation of the votes. That may change after a market correction. However, it does show that the FMA has done an excellent job in re-establishing trust between investment managers and the public; and in the idea of KiwiSaver. Fees ranked last out of five factors. While fees are an important factor, they are only one factor. After 10 years it is becoming clear that investors’ asset allocation and contribution rate are the two most important factors. NZ Funds’ research shows that investors’ contribution rate can be nearly three times more significant than fees. It also reflects that across the board, KiwiSaver fees are fair and reasonable. While different providers provide a different level of fees, they also provide different levels of service. If you want to be diversified by asset type and/or geographic region, use a multi-manager approach, ensure your funds are responsibly invested and perhaps use an automated rebalancing process as well as have access to a personal financial adviser to help you build your retirement wealth, these things will end up costing you slightly more. The survey shows that New Zealanders get that.